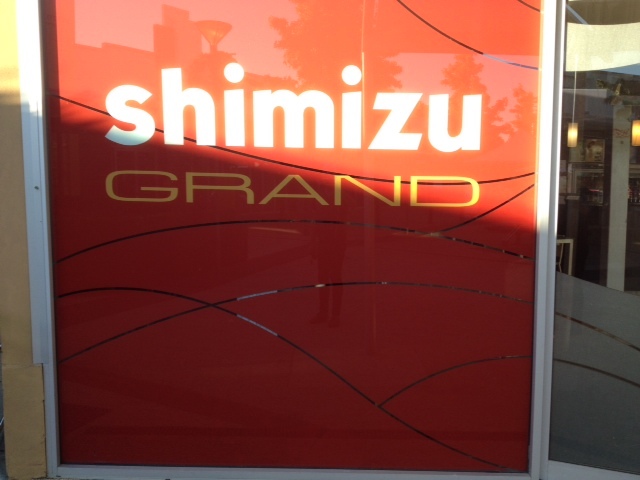 Shimizu Grand – where fresh is always best! We had eaten there once before, about 3 years ago and since that time not much has changed at Shimizu in terms of what is on offer and how it is presented. This is traditional Japanese fare but served up as a buffet and not à la carte and I think this is a bit of a mistake as I found the dishes served up in the hot section not as fresh as if you had them served straight from the kitchen and this is an issue for me as I hate food that has sat in a heating dish for long periods of time and we were there at 6pm when they first opened for dinner so it all should really have been fresh! Where Shimizu does shine, however, is with their sushi, sashimi and Japanese salads as they were all wonderfully fresh, tasty and well presented. 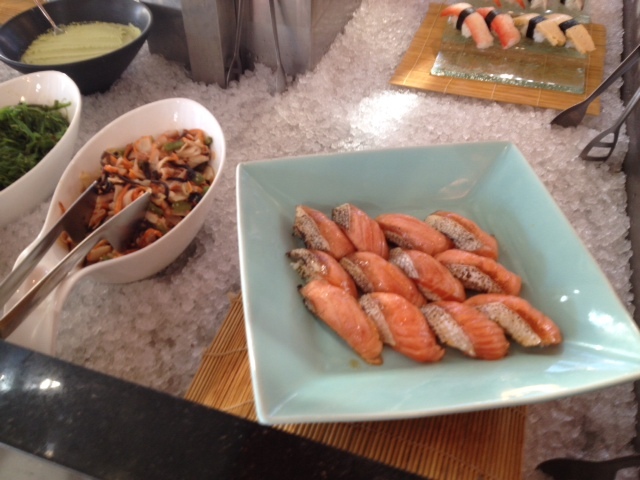 The octopus sashimi was delightful as was the salmon and the Japanese salads were all lovely and tasty. 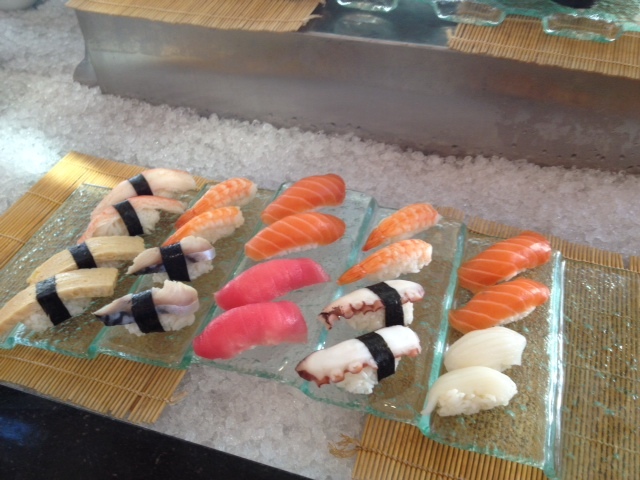 Shimizu charges $42 per person for the dinner buffet and you can BYO wine ($6 corkage per bottle) or buy from their bar. The one thing that I found strange was that you had to pay up front when you arrive (like going to Sizzler) and then when you went to the bar to get drinks (they do not offer table service for drinks) you then had to pay each time for your drinks as well. I would have preferred table service for drinks, but I suppose as I was up and down to the buffet it was not too much to head to the bar for drinks as we needed them. The usual Asian fare of deep-fried spring rolls, deep-fried home-made gyoza and the chicken karaage were all soggy from sitting too long in the service dishes and so especially the gyoza (which I usually really like) were disappointing. 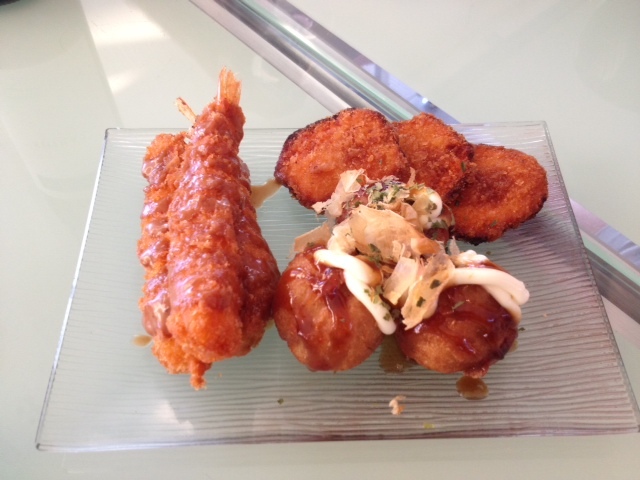 They do serve 3 dishes freshly cooked from the kitchen to each table and these dishes were just delightful – takoyaki, katsu prawn and katsu vegetable. They were hot, fresh, crisp and delightful. The other hot dishes that we tried were the teriyaki beef and chicken, both of which had really nice flavours but again could have been a little fresher. 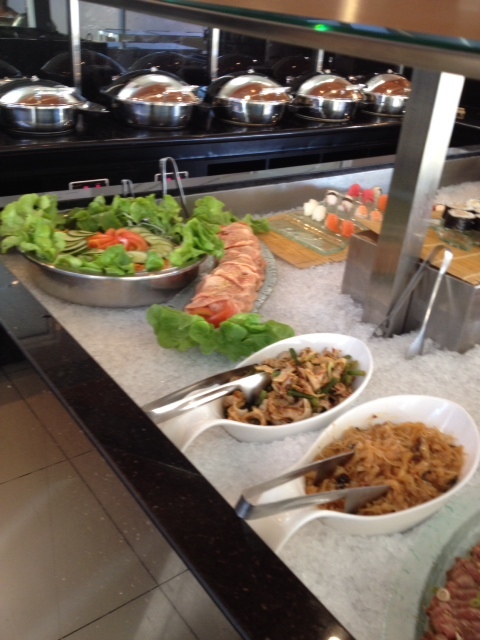 So we all mainly focussed on the sushi, sashimi and salads and had a great experience with all the things we each chose to eat from this part of the buffet. Being a buffet they also offered a limited dessert section and it really was limited. It mainly consisted of some fresh fruit, some very dry carrot cake and 2 soft serve options – vanilla and green tea. I tried the vanilla and green tea soft serve and together they were really nice. The green tea was a bit overpowering by itself and needed the vanilla added to it to temper it a little, but if you love chilled teas then you will probably enjoy this. Trevor had the carrot cake and I had a taste of it and it was dry and very uninspiring. 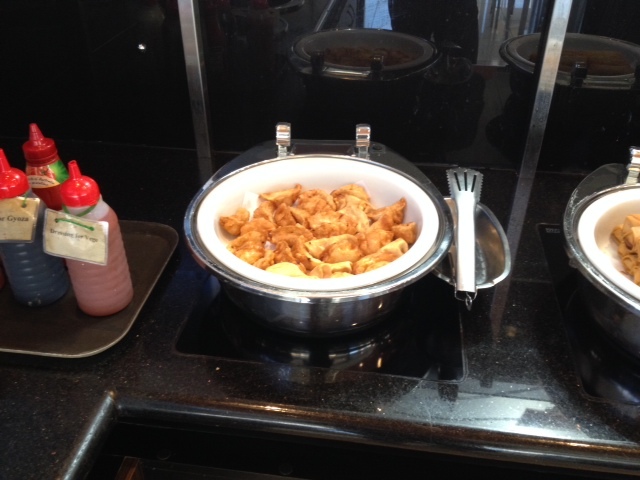 Shimizu have 3 locations in Perth and this is the only one that offers buffet style dining. I would suggest that if it was filled with lots of people and the turn over of the cooked food was higher than we would have enjoyed the cooked part of our meals more than we did. That is not enough to stop me from returning as we all enjoyed the sushi and sashimi as I said before but perhaps we would go back sooner if the price was a little lower – say $35 per head…if they did table service then $42 could be justified but not with no drinks service at the table. Dim Sum delights in Northbridge – Dragon Palace rules!